But along with Lorali's arrival, and the freak weather suddenly battering the coast, more strange visitors begin appearing in Rory's bemused Sussex town. With beautifully coiffed hair, sharp collared shirts and a pirate ship shaped like a Tudor house, the Abelgare boys are a mystery all of their own. What are they really up to? Can Rory protect Lorali? And who from? And where does she really belong anyway? The lazy seaside town of Hastings is known for it's quiet cobblestone streets, it's portside fishing and the dream of escaping and making more of your small town life. None more so for Rory. Reminiscing about his long gone father while an earth shattering storm rolls in, wasn't how Rory thought he'd spend his sixteenth birthday. He certainly didn't expect to find a girl, naked and alone, washed up underneath the Hastings pier. Lorali doesn't speak and her beauty is almost otherworldly, leaving Rory instinctively wanting to keep her safe. Lorali's life as a royal mermaid had driven her to the surface, making the painful transition from mermaid to Walker. Her kingdom is in disarray, sending the well mannered and dashing Abelgare pirate brothers to return her to her rightful home and they aren't the only ones. The sea is a haven for pirates and hunters, not all with the intention of returning the princess to her kingdom. Not knowing who he can trust, Rory will protect Lorali with his life by putting himself in danger in the process. I haven't had much luck with Mermaid themed young adult reads, they tend to be underwhelming and not the magical, whimsical storylines most readers are probably expecting. Not only does Lorali break that mould, but it's a much darker storyline than I'd imagined. Told from three points of view, Rory, Lorali and The Sea, it tells the story of Princess Lorali who has surfaced among humans and those who are on the hunt to capture her. It was deliciously bizarre, the inclusion of pirates, the sirens they tame and the world between the underwater kingdom and Walkers was simplistic, yet incredibly engaging once the hunt for Lorali begins. Rory's character is the average, knockabout lad but cares deeply for his single mother who seems on the verge of falling apart. Along with best friends Flynn and Elvis, they plan on celebrating Rory's sixteenth birthday when the weather turns nasty and Lorali washes up on shore. Her transformation from mermaid to human is incredibly charming. Lorali. I'm a bit in love. A bit in love with this weird girl wearing my clothes, stuffing butter into her mouth off a knife. But lorali is by no means safe, and Rory is about to find out how deadly betrayal can be. As much as I enjoyed the storyline overall, I found the world building lacking. 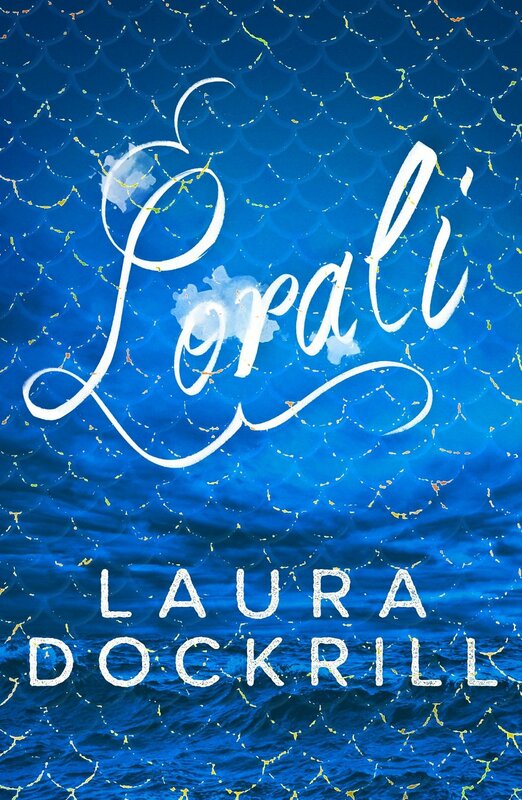 Lorali's underwater kingdom was underdeveloped and I found it hard to imagine. Seeing a point of view from The Sea was bizarre, and it felt as though it used the narrative as a way to explain the pirates and the politics of Lorali's world. Inventive, but personally I would rather have seen a point of view from the pirate Abelgare brothers, who added a dose of intrigue throughout the storyline. Lorali is a unique storyline of mermaids, sirens and pirates within the human world. Slow to begin, but the action soon heats up as the battle is on to capture and return Lorali home... Or otherwise. With points of view from The Sea, it is a unique read and one of the more engaging mermaid themed books in young adult. I'm reading this now.. we'll see! Ooh, looking forward to seeing what you think of it Frannie. Sorry you didn't really enjoy this one. I like that it's a bit darker than other mermaid themed books, but it doesn't sound like it was completely pulled off. I actually did enjoy it Lauren, for the most part. The second half was much better and I enjoyed the darker twist on what has generally been a genre that I haven't really had much luck with in the past. I've had the same issues too poppet, and this is one of the better ones I've read actually. I think it might have been a little too busy though. There were side storylines that didn't add to the overall storyline, which could have been better used as time to world build. Really looking forward to seeing what you think of it. Darn. Not my type. I'm glad it's unique and all, but I'm not a huge fan of the fact it starts out slow. It does. But it's around half way through when it really picks up the pace, but ends up a little too busy. I only wished it had of carried that dark theme throughout, as the first half is a bit too cliche. Can't wait to start this! I LOVE mermaids but there seem to be so few books about them. I'd love to write on myself, actually. There's a few actually in young adult, but none that really are all that engaging sadly. This is actually one of the best ones I've read. You really should, it's such an untapped source and not much variety between them to be honest. There aren't too many great ones around sadly, but this is definitely one of the better ones. I only wish that dark theme has of extended to the entire book, not just the second half. It's the difference between a good and a great read. I can't remember ever reading anything that has mermaids in them. I guess, it is not really interesting to me, however, the dark undertones of this story sounds quite intriguing. I hoped the world-buidling actually provided a better look at Lorali's world. I think that alone can help readers get more involved in the story. It would. It was mentioned, the hierarchy of the underwater kingdom, but never fully explored as there was just too much going on in the second part. I think if some of the subplots had been sacrificed instead, it would have made for a much more engaging read. Lovely review as always, Kelly! Thanks Naban. The really great ones are so few and far between sadly. Give this one a try though, it might really surprise you. When the pirates first came into it, I frowned and went 'pirates?' and then after a while I just wanted their POV, I so wish we'd got that but The Sea just had to do. It was an interesting way to tell the story, but I agree, the world building was a bit meh. One day that elusive totally awesome mermaid book is going to exist, I hope! I hope so too Wattle. The pirates felt much more fleshed out, and that was only the brief snippets that we seen from The Sea. I think there was a bit too much going on, and stripped back probably would have allowed for much more character development too. Yeahhh. Not really a fan of mermaids, to be honest. :/ I can suspend disbelief in just about anything, but for some reason, I can't take books with mer creatures seriously. Lol. I hear you Joy. It doesn't help when you think about the previous quality of books within the genre either. Most are all young adult and full of eye roll worthy tropes. Rory and Lorali? Whoa, I'm getting major Gilmote Girls feels here (which is reason alone to read this one) but I'm also interested in the mermaid aspect of the book. I don't think I've ever read a mermaid book before. Ohhh, I didn't even click. GILMORE GIRLS! How did I not pick up on that. It's really one of the better ones out there. I'd love to see what you think of it Lily. There are so few of them around Claudia that they are kind of hard to miss. I'm still waiting for that epically magical one too. One set entirely under the sea, rather than them infusing into the human realm. Thanks Aentee, that's so lovely of you. I adore the mythology behind it, but you hardly ever see it executed well sadly. This is one of the better ones I've come across though, but unfortunately I still has issues with it. Not much of a fan of mermaids, but I'd read this... if you hadn't said it lacked world building, lol. Thanks for the heads up Kelly! Sorry you didn't like this much. I'm thoroughly put off by mermaid books I think, but this one actually sounds decent with the dark storyline and transformation and stuff. But a shame about the lacking world-building, because it would have been nice to read more about that. Great review Kelly! I don't know why but, I always seem to steer clear of mermaid books. I don't know why! I want to read them, but just feel like I have never read a really good one. This one does sound a little more unique, but the lack of world building will bother me when I am reading this. I have a review copy though, so know I will get to it eventually and I really hope I enjoy it. I had a really bad experience with this, Kelly, which was really unfortunate. The Little Mermaid is my favourite classic and I was all for reliving the magic, but although the darkness wasn't a huge issue, the story building, plot and characters just riled up against me all the wrong ways. Rory's attitude was kind of hideous to me in his judgement and shaming, The Sea having a POV was way too convienent to explain all these various happenings, and it just... didn't work. I am glad you had a better experience, although I'm sorry it still wasn't great!